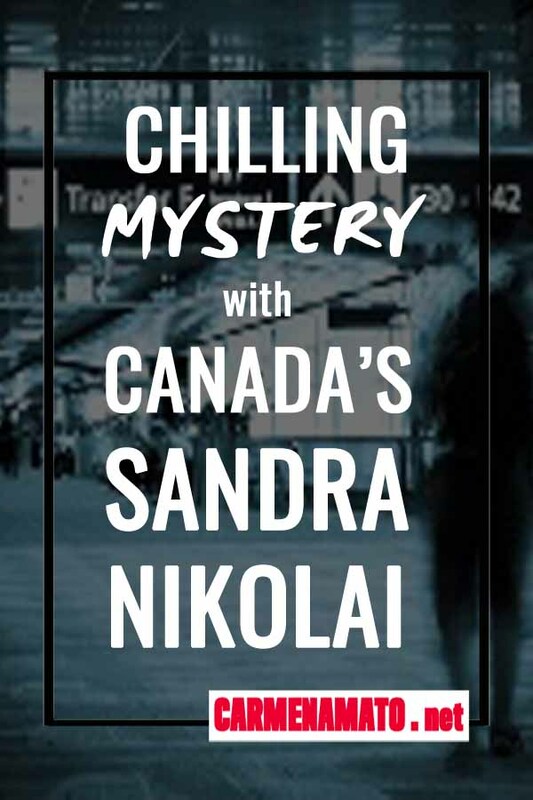 Canadian mystery author Sandra Nikolai writes the excellent Megan Scott/Michael Elliott series featuring a ghostwriter and an investigative journalist. Sandra and I have watched each other’s series grow book-by-book, while indulging in a shared love of chocolate almonds. 1. Carmen Amato: Sandra, thanks so much for stopping by. Your series set in Canada drew me in from the start because it was different than the norm with two main characters—a ghostwriter and a reporter. Why did you go in this direction instead of a police procedural or private detective series? Sandra Nikolai: Happy to be here, Carmen. There’s something intriguing about a hero that everyone admires, whether it’s a feisty female cop (winks) or a shrewd private detective. Because I liked the notion of everyday people helping to solve crime, I created my heroes based on the premise of ordinary characters facing terrifying situations. No one represents the everyday hero better than ghostwriter Megan Scott, a young woman with high ethical standards whose sheltered world is turned upside down when she is accused of murdering her husband and sets out to clear her name. Add investigative reporter Michael Elliott, a daring young risk-taker who pursues justice despite dangerous and unpredictable circumstances, and you have the creation of an interesting duo. The difference between Megan and Michael is their approach to investigating a crime. Where Michael is cool and trusts his instincts, Megan is cautious and analytical. Her interest in his sleuthing activities and her aptitude to decipher the tiniest details convince him to take her along on some of his ventures. For Megan, a covert outing provides an exciting break from her “boring” job as ghostwriter of non-fiction material, but it fulfills another purpose. It enables her to pull Michael back from the brink of death when necessary. Megan’s curiosity occasionally lands her in trouble too, so it works both ways. 2. CA: How do you create multi-dimensional fictional characters, including your lead characters Megan Scott and Michael Elliott? Where do you look for inspiration when creating characters? SN: For each of my lead characters, I create a chart that includes their family and work history, physical appearance, personality traits, and behaviors. To produce well-rounded characters, I also describe their fears and aspirations, likes and dislikes, and preferences for food, clothes, and music. I go through a similar routine—though not as elaborate—for secondary characters. I might add information to the charts as the main characters develop from book to book in the series. Inspiration for my characters comes many sources—the news, movies, crime case studies. I do a lot of research to find tidbits of information that I can develop and weave into my stories to make the characters and their actions credible. 3. CA: Poison figures in more than one of your novels, in crafty ways. How much research do you do and how do you keep it organized? SN: I can thank Shakespeare for inspiring the poison scenes! (laughs) Okay, on a more serious note, once I research the poison or drug I want to use in the story, I keep the relative website links, notes, and photos in a computer folder so I can easily refer to them. 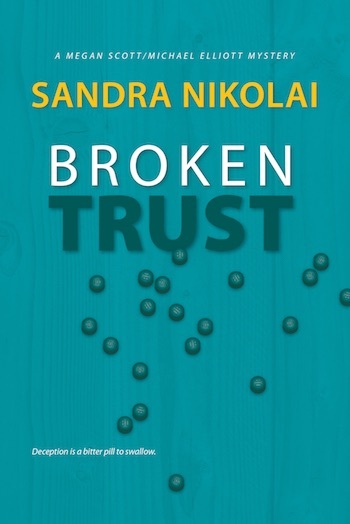 For my novel Broken Trust, a mystery that highlights the current fentanyl overdose crisis, I researched how the medical community and law enforcement dealt with people affected by the drug. I read personal stories about youths who unwittingly took fentanyl-laced street drugs and died, and about other users who lived but suffered devastating physical and mental consequences. The research process dug up a lot of disturbing information, but I wanted to accurately depict the growing dilemma that first responders face today as one of the elements in the story. 4. CA: Your characters are rooted in Montreal, but your novels travel beyond to other parts of Canada. 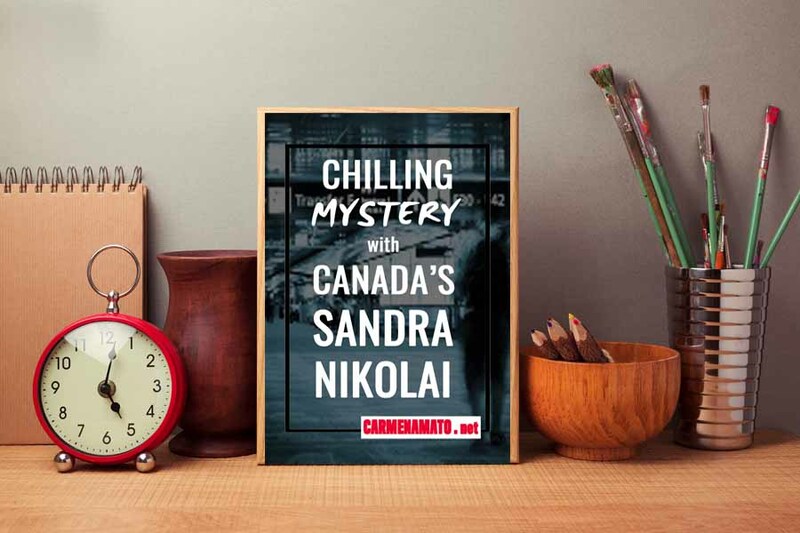 Why is Canada a good setting for a mystery? How do you use setting to create and build suspense? SN: Canada is a vast country with settings ranging from small towns to large cosmopolitan cities—much like the United States. The weather can vary immensely from coast to coast and temperatures can fluctuate widely, even within a twenty-four hour period. Having lived in Montreal for decades, I used that city as the setting for my first book, False Impressions. When I decided to continue the series, I varied the settings for subsequent stories. I also ensured each new story occurred in a consecutive season and used the weather to heighten suspense when possible. For example, False Impressions takes place in Montreal during a sizzling summer; Fatal Whispers in Portland, Maine in the cool fall; Icy Silence in a suburban college school during a winter ice storm, and so on. I don’t have a title for book #6 yet, but a rainy autumn is the season of choice. 5. CA: You can invite any author, living or dead, to dinner at your home. What are you serving and what will the conversation be about? 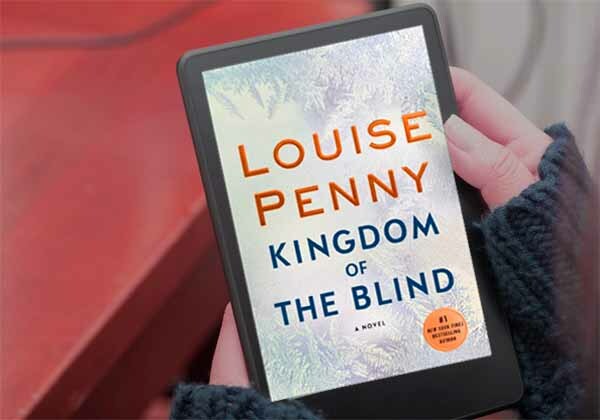 SN: I’d invite Louise Penny, Canadian author of the Chief Inspector Armand Gamache series set in the fictitious village of Three Pines, Quebec. 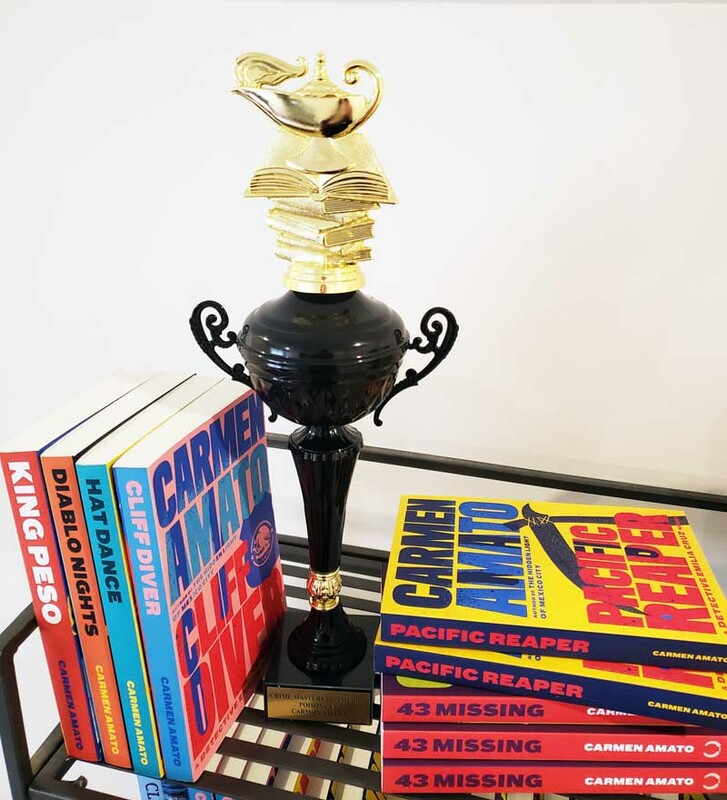 Still Life, her first book in the series, won multiple awards including best first crime novel in Canada and the United States. 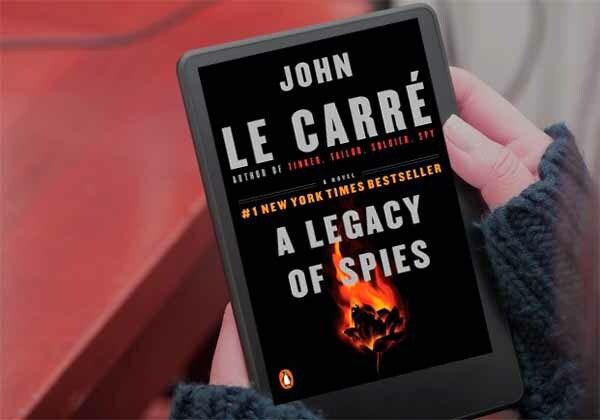 We’d enjoy French onion soup topped with cheese toasts, steak frites with a glass of red wine, and a slice of sugar pie for dessert—menu selections mentioned in her detective series. 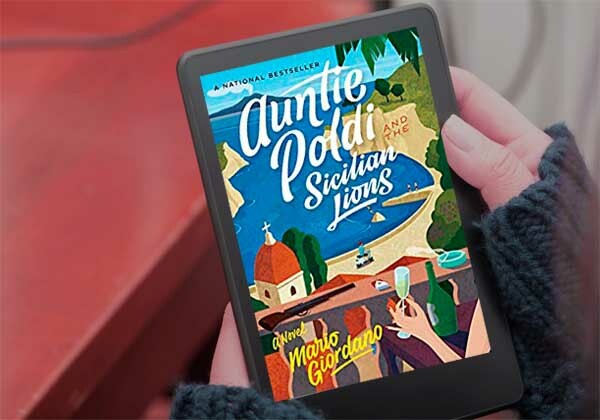 We’d chat about her insightful Inspector Gamache and the artsy, quirky, and sociable inhabitants of Three Pines. On a personal level, we’d compare notes on our experience living in La Belle Province of Quebec and discuss how it influenced our choice of characters, plots, and settings. It would be magnifique! 6. CA: Can you leave us with a quote, a place, or a concept from a book that inspired you? Thank you for inviting me, Carmen! 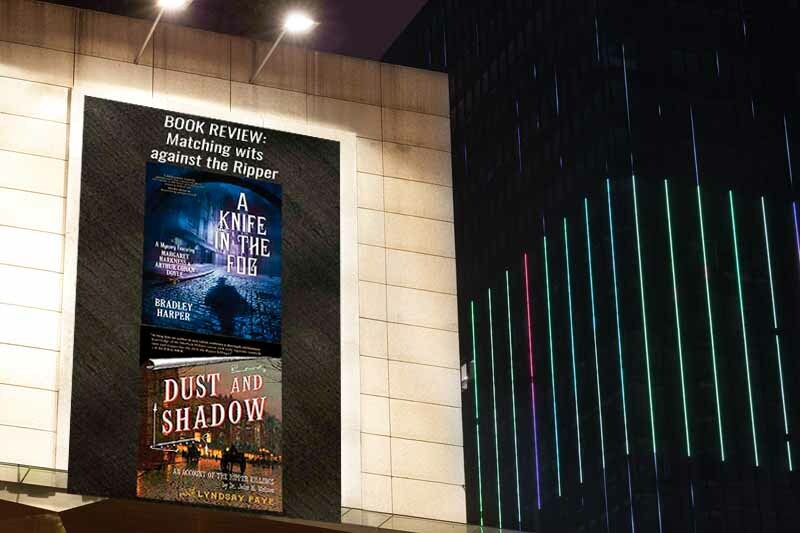 Sandra weaves ordinary characters into extraordinary, life-threatening situations, using the premise that evil often lurks in familiar places. 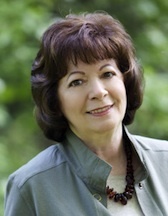 Her popular, fast-paced mystery series featuring ghostwriter Megan Scott and investigative reporter Michael Elliott has earned rave reviews internationally from fans who love the challenge of solving heart-pounding whodunits. Visit www.sandranikolai.com to find out more.